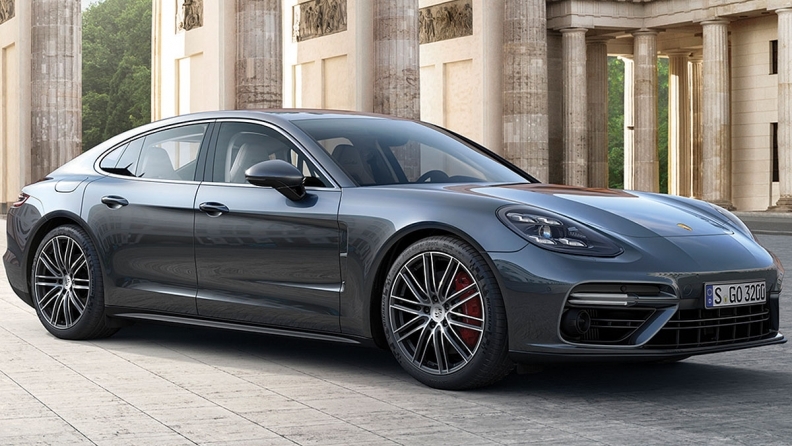 The latest version of Porsche Communication Management, with Porsche Connect, appears on the 2017 Panamera sedan and features, among other things, the ability to check on the car from an Apple Watch. With the Porsche Connect app, drivers can find their car, query its fuel status and lock or unlock it. On Panamera E-Hybrid models, they can even pre-warm the vehicle on cold days by telling it, remotely, to turn on auxiliary heating. It will also alert drivers to the charging status and offer them the ability to program the recharging timer. Porsche’s system can also look up flight times, terminal information and flight delays. It will also pre-program navigation, based on destinations set with the watch that are then uploaded to the car.